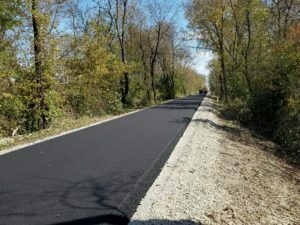 The Cedar Valley Nature Trail between Shultz Road and Iowa Street in Center Point is still under construction, so we’d like to remind trail users to stay off the trail until construction has finished. Staying off the trail will help construction continue on schedule, and riding into a construction zone is dangerous! 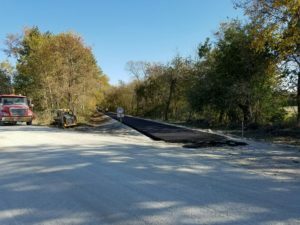 With that being said, the construction is expected to be completed by the first week or two of November as long as the weather stays favorable. The asphalt sealing that was originally scheduled for May 5th has been rescheduled for May 28th, but it depends on fair weather conditions. The sealing will occur on the Hoover Trail from 76th Ave to Ely. Linn County Conservation announces that portions of the Cedar Valley Nature Trail from the north edge of Center Point to Urbana will be closed periodically starting May 20. Utility companies will be preparing for utility line upgrades later this fall and will be working on the trail to prepare the site for the upgrade. Sections of the trail will close when work is in progress and will re-open when work activity ends for the day. Sections of the trail are likely to be closed through July 1. Additional closings may occur periodically through the end of 2015, as utility work continues through that time. The closing is primarily due to work that ITC will be doing to upgrade an existing transmission line serving the region. ITC is doing ground work that will improve drainage around the trail. The company is also planting native grasses and flowers in the area. For up to date information on trail conditions, call the Linn County Conservation Department at (319) 892-6450. Linn County Conservation announces that the Hoover Trail from 76th Avenue to Ely will be closed on Tuesday, May 5. A private contractor will be applying asphalt sealer requiring the trail to be closed until the product dries. The trail will reopen approximately six hours after the sealer has been applied depending on drying conditions. 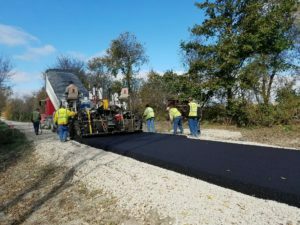 The sealer is applied to the asphalt trail to extend the life of the asphalt and reduce long-term maintenance costs. Rain date for sealer application will be Wednesday, May 6. The sealer cannot be applied if rain is in the forecast, so the application could be delayed further depending on weather conditions. For up to date information on trail conditions, call the Linn County Conservation Department at (319) 892-6450. Update:The resealing has been rescheduled for a later date due to wet conditions on the trail. The Ely Fall Fest 5k will be using a portion of the Hoover trail from Ely Road to the City Park from 7:00pm tonight to 8:15pm. The trail is not closed to other users, but please be considerate of the event, and follow all safety and etiquette rules when using the trail. Area trails are closed due to flooding. 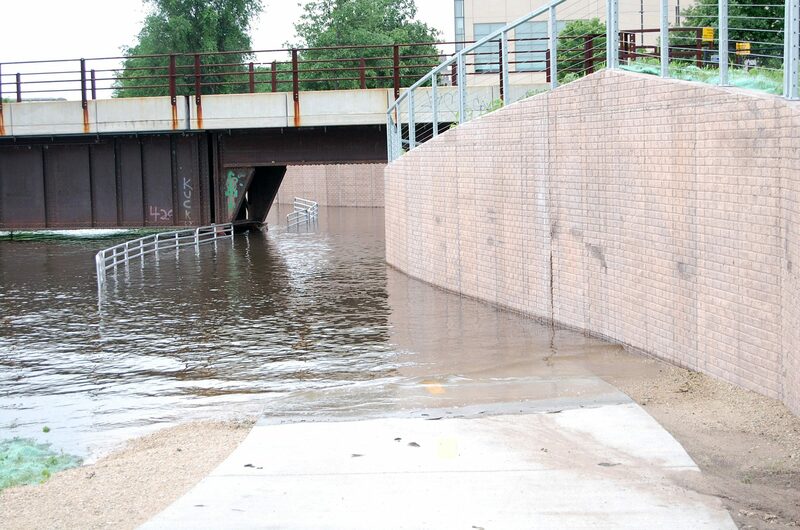 The City of Cedar Rapids has closed the Cedar River Trail at two locations due to flooding. The trail is closed under the 8th Ave SE Bridge (above left). The Cedar River Trail is also closed along A St SW between 15th Ave SW and the landfill due to flood protection measures and flooding (above right). The Sac and Fox Trail near the Indian Creek Nature Center is closed due the high river level. Part of the Prairie Park Fishery Trail is also closed. 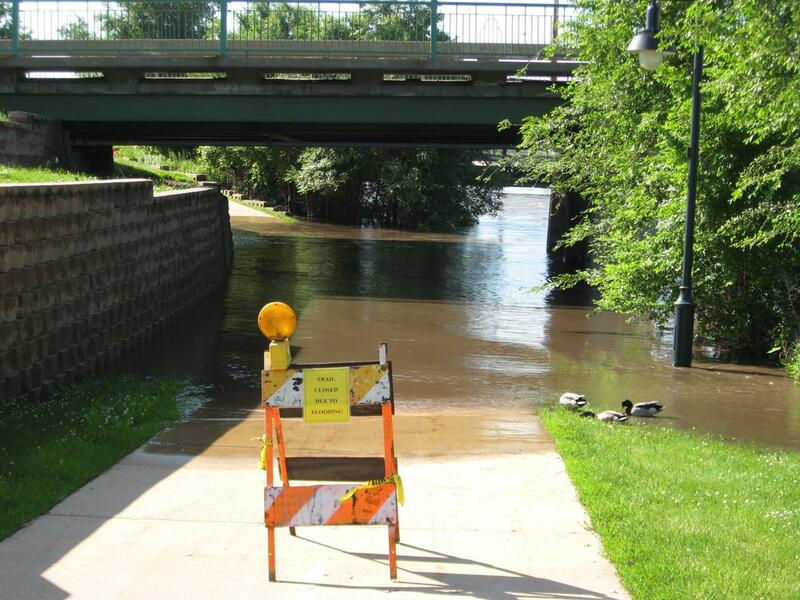 The Ellis Trail is closed near Ellis Park and Manhattan Park as result of water over the trail. In addition, the City of Marion has closed a section of the Boyson Trail near Donnelly Park due to high water on Indian Creek. All closures are marked with signs and barricades with no designated detours. •	Avoid riding or walking through water that covers an entire section of trail. •	When sections of trail are closed due to flooding, obey all barricades and signage. Refrain from moving and/or going around barricades. •	Slow down when standing water, mud and/or debris are found on the trail after the water recedes. •	Linn County has several other trail opportunities to explore while these trail sections are closed. These sections of trail could reopen this weekend as the river level falls below flood stage. Upcoming flooding next week will impact area trails. 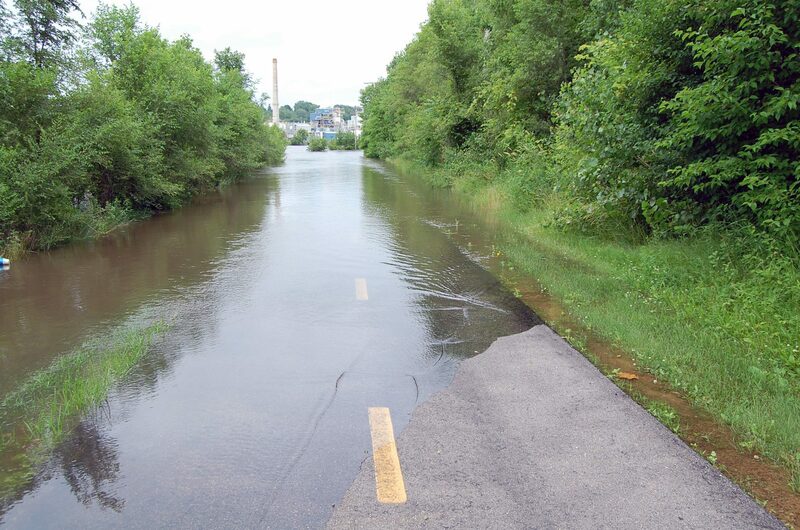 Avoid riding or walking through water that covers an entire section of trail. When sections of trail are closed due to flooding, obey all barricades and signage. Refrain from moving and/or going around barricades. Slow down when standing water, mud and/or debris are found on the trail. Linn County has several other trail opportunities to explore while these trail sections are closed. Current river levels can be found at the National Weather Service’s Advanced Hydrologic Prediction Service website: http://water.weather.gov/ahps2/hydrograph.php?wfo=dvn&gage=cidi4. LCTA will provide updates of trail closures and openings during the next week. Following the Marion Master Trails Plan input meeting, a website and survey have been created to collect additional feedback.